Last month, the president of the Findecor painting company decided to cancel his CAA Québec membership. We decided it was best to inform our customers of our decision and the reasons why we took it. We thought it was important for you to know that we did not receive complaints from the organization. Actually, we took that decision for two reasons. First, we do not need to be part of the CAA Québec recommended house painters directory, as we already have too many contracts. Our clients from the previous years frecuently give us referrals. We did indeed acquire a great experience over time, so we can be trusted. We are now specialized in house painting, commercial painting, interior and exterior painting, spray painting and painting at heights. This explains why we have so many clients that we have to refuse numerous contracts each year. Thus, it’s not necessary for Findecor to do marketing on the CAA Québec website. Second, the actual economic environment makes us want to reduce our expenses. 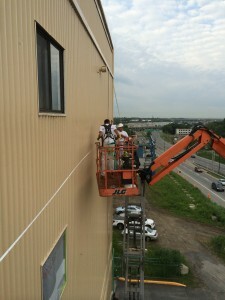 Of course, some expenses are not essential for our painting company. As it costs around $2,000.00 per year for the renewal, we had to adjust the billing sent to our clients when we were a member. Thus, by not paying anymore this membership, we will be able to reduce a little our clients’ bills all year long, and our profit margin won’t be lower. Don’t worry, we won’t be forced into bankruptcy this year! We may decide to go back to being a CAA Québec member in 2015. But until then, it’s only an unnecessary expense for us. And it will reduce your billing! If you wish to make an appointment for a free quote, do not hesitate in sending an SMS at 514-966-0966.